05. I - The Gathering. 07. III - Defender & Believers. 11. U Playin On My Drum. Mats Hedberg - Guitars, Sitar & Ebow. Morgan Ågren - Drums & Percussion. Giovanni Imparato - Percussion & Animal Voices. Hans Lundin - Organ & Nord Lead. Alessandro Gwis - Keyboards & Laptop Sampler. Fabrizio Sciannameo - Bass. Lorenzo Feliciati - Bass. Lars Eric Mattsson - Guitar solos 1,3, 5 and 7 on track 7. 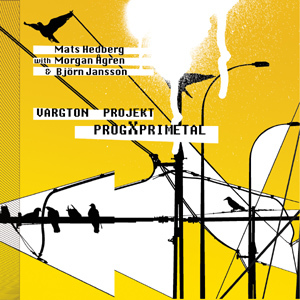 Lion Music are proud to introduce the debut release "ProgXpriMetal" from Vargton Projekt, a new band based around some of the finest musical talents to have emerged in recent years from Sweden in guitarist Mats Hedberg, Grammy winning drummer Morgan Ågren and vocalist Björn Jansson. "ProgXpriMetal" as the title may suggest is a varied and special release that will satisfy the extremist metal and hard rock fan and Zappa freaks too with its wide ranging sound. 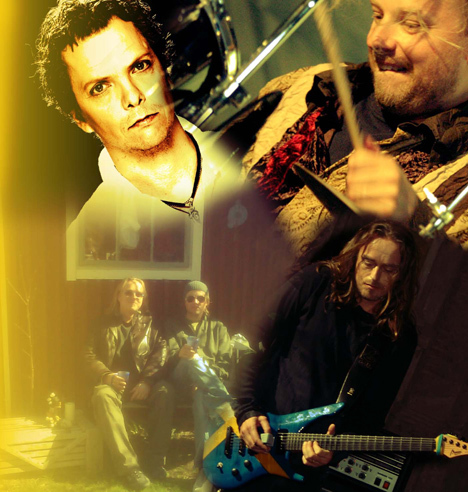 The seeds for what would become Vargton Projekt started 2006 when Mats Hedberg (BFH) contacted Morgan Ågren (Frank Zappa/Mats Morgan band) to collaborate together after hearing his drumming on a Fredrik Thordendal (Meshuggah) album. Mats sent some rough demos which caught Morgan’s ear and the pair decided to collaborate on an album together. Recordings started 2007 in May at Morgan’s "Studio Annanstans" (Stockholm/Sweden) where all drums and basic guitar tracks where recorded. The sessions continued on five other occasions throughout 2008-2010 by the end of which the recordings where ready to be mixed in September 2010 at OSD studios (Bologna/Italy) by Nicola Venieri, and was mastered in march 2011 by Claes Persson at CRP studios (Stockholm/Sweden). The original thought for the album was to be an instrumental CD but Mats had an idea to ask one of Sweden’s finest metal vocalists Björn Jansson (Tears Of Anger / Ride The Sky) to put some vocals on selected tracks with the result in Mats’s own words being "Amazing!". Keyboardist Hans Lundin (Kaipa) was asked to play on 3 tracks and another important element for the sound came from the animal voice of Percussionist Giovanni Imparato (Paco de Lucia) from Naples. Alessandro Gwis contributed additional basic keyboard parts and some electronical stuff which added a further dimension to the music whilst Lars Eric Mattsson performs some guest guitar solo duels with Mats on track 7. Stylistically "ProgXpriMetal" is high output heavy guitar and drum oriented music with modern nods to the likes of King Crimson and Mahavishnu Orchestra. Yet there are also deft moments of subtlety and atmospheric passages all of which manages to sound open and inviting to the casual listener. Vargton Projekt have produced an intoxicating blend of progressive thinking and intelligent design and make "ProgXpriMetal" not only one of the most original releases you will hear in 2011 but one of the most musically satisfying. • Debut release of exceptional quality from some of Sweden’s best musicians. • Mats Hedberg and Morgan Ågren are available for interview via email, phone or skype, Requests to promo@lionmusic.com. • Adverts and web banners at selected chosen magazines and websites.